China will operate a new rehabilitation system to help millions of children with disabilities, starting on Oct. 1, as approved by the State Council, senior officials said on International Children's Day. China will operate a new rehabilitation system to help millions of children with disabilities, starting on Oct. 1, as approved by the State Council, senior officials said on International Children's Day, which was observed on Friday. By 2020, the system will cover all such children, and funds will be provided by local governments above the county level, with subsidies from the central government, Jia Yong, vice president of the China Disabled Persons' Federation, said on Friday. China has 1.67 million children age 6 or younger with disabilities, and this is the priority group for the system, Jia said, adding that throughout childhood is the best time to recover or substantially improve the capabilities they've lost. Rehabilitation for these youngsters can also reduce economic and psychological burdens for their families and help them go to school or get employment later, he said. A guideline was approved on Wednesday, at a State Council executive meeting chaired by Premier Li Keqiang, to include children ages 6 or younger with disabilities of eyesight, hearing, lingual abilities or intelligence, as well as autism, in the new system this year. Additional aid will go to those from economically disadvantaged families. According to the second national survey for people with disabilities, the country has an additional more than 200,000 children with disabilities each year. Since 2011, more than 600,000 kids suffering from various disabilities received rehabilitation services and corrective surgeries, especially for hearing-impaired or physically impaired children. There are now about 7,000 rehabilitation institutions nationwide. However, it's still difficult for some children in poor families to receive basic rehabilitation services, and most such services are not covered by the social security system, with a very small portion of medical bills being reimbursed, Jia said. 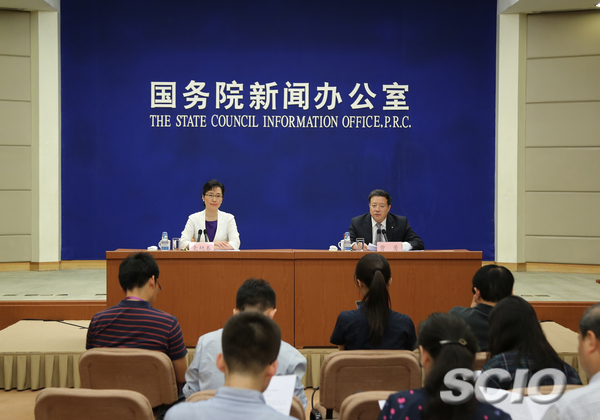 Hu Xiangyang, director of the federation's rehabilitation department, said the guideline clearly requires governments at all levels to provide rehabilitation aid. In the meantime, rehabilitation institutions should introduce higher-quality professionals, and the private sector should play a bigger role in expanding the supply of rehabilitation services, he said. Moreover, service quality of existing institutions should be ensured and be improved in a standardized and professional manner, Hu added.